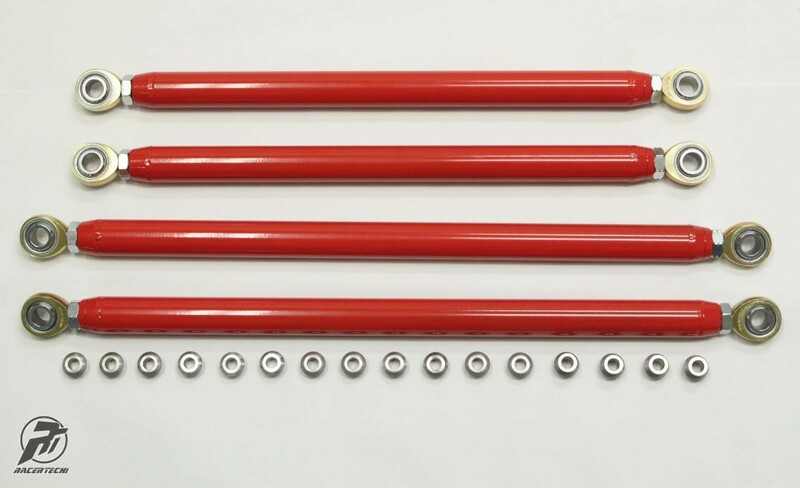 Racer Tech's Super Heavy Duty Radius Rod Kit will replace the weak factory radius rods with a substantially stronger design. 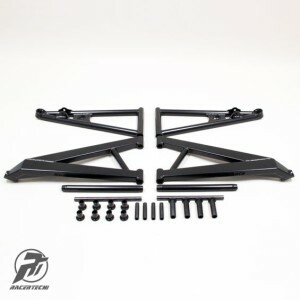 Here's the fix for the weakest link on the RZR XP 1000 & RZR XP 900. 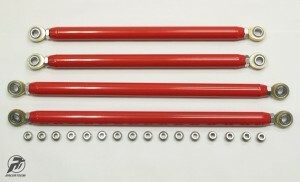 These Radius Rods are a direct bolt-on replacement and work with the OEM trailing arm and knuckle/spindle. They are 1.25" dia. USA tubing and use 5/8" FK heim joints. The rods have a little room for adjustments for the inclined rider to tweak the handling a little bit if desired. 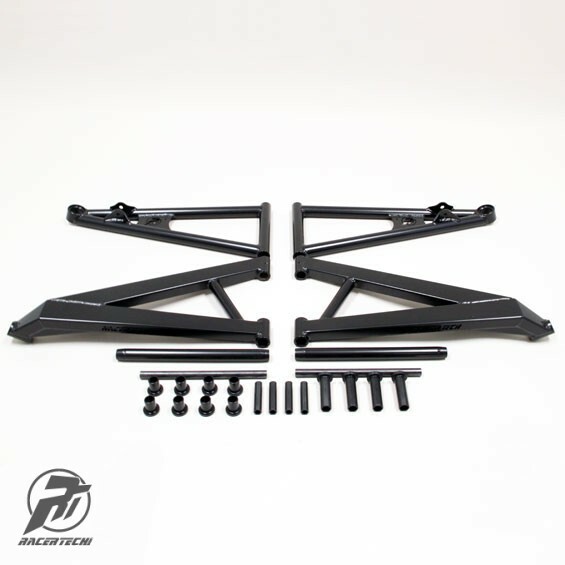 The adjustment provided from this kit is the static camber settings. By adjusting the rear camber one can control how aggressive the bite of the rear tire is in a corner and find a preferred balance of understeer / oversteer which is how much the machine pushes or slides out in a corner. This setting while controlling handling going into a corner, can also fine tune traction coming out of a turn. 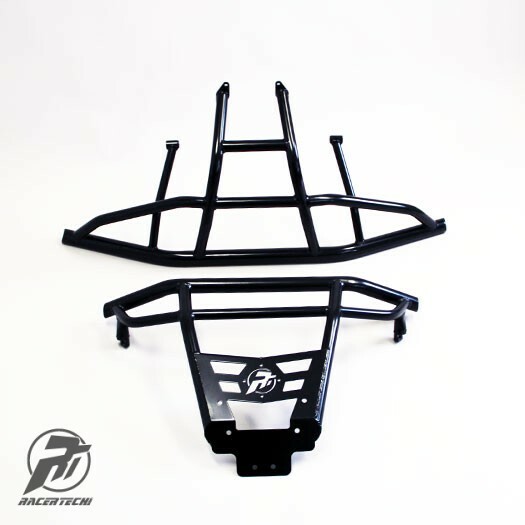 Put together the ultimate front suspension on your RZR XP 900 or RZR XP 4 900 with Racer Tech proven Replacement Arm Kit, SHD Tie Rods and our long lasting Delrin Pivot Bushings and High Precision Sleeves.Come standard in matte black or we can powder coat to the colour of your choice.